Bill Luckett crafted this presentation Sub-Hilt Fighter. 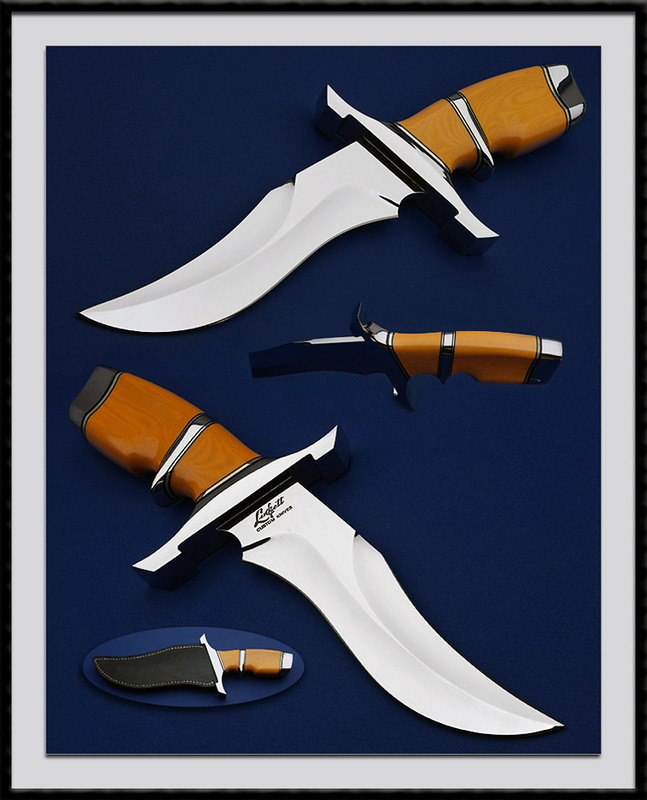 Blade is CPM-154, BL = 7", OAL = 12 5/8", Stainless Steel fittings and a sculpted Ivory Linen Micarta handle. Comes with a custom Leather sheath by maker. Fit and Finish are as good as it gets. Condition is Mint.